Divorce is a difficult and emotional time for all parties involved and that raw emotion and anger can often cause those involved to make mistakes regarding the separation of assets. 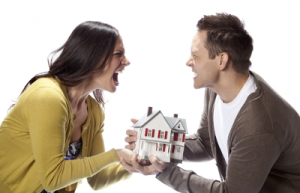 In most case, the marital property is the greatest single asset of your marriage and during divorce it is usually the cause of the most anguish because of the value and sentiment. The key to making the best decision regarding your Real Estate sale is to understand all of the options that are available to you and work with your estranged spouse and your Realtor® to implement that strategy. I have worked with divorcing couples, both individually and as a couple and I am able to assist both parties with the steps needed to make the best decisions regarding the sale of the marital assets. Download my FREE PDF if you are currently entering into, or preparing for a divorce. Call me today for a FREE and PRIVATE consultation if you are preparing for divorce 561-502-9113. Divorce is difficult and often people makes mistakes that they regret after the papers are signed. Educate yourself, or a loved one about their rights during this difficult time.